Paul is an energy and commercial litigator practicing in the firm’s Baton Rouge office. 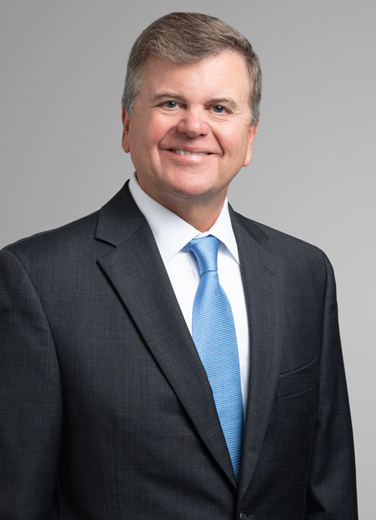 Paul has broad experience with commercial and business disputes, as well as cases involving oilfield contamination, mineral landowner and lessee disputes, mineral regulatory issues, and other aspects of oilfield litigation. Paul has practiced in a variety of courts, including Louisiana state courts, Louisiana federal district courts, the Louisiana Supreme Court, and the United States Fifth Circuit Court of Appeals. He serves on the Louisiana State Law Institute Mineral Law-Legacy Disputes Committee. He received his Juris Doctor from the Paul M. Hebert, Louisiana State University Law Center in 1984 where he was a member of the Louisiana Law Review. Black River Crawfish Farms v. King, 17-672 (La. App. 3 Cir 2/7/2018) 246 So. 3d 1. When not in the office or on the road for his clients, Paul spends his time following LSU sports - whether football, basketball, baseball, golf, gymnastics or whatever sport is currently in season, Paul is following the Tigers.